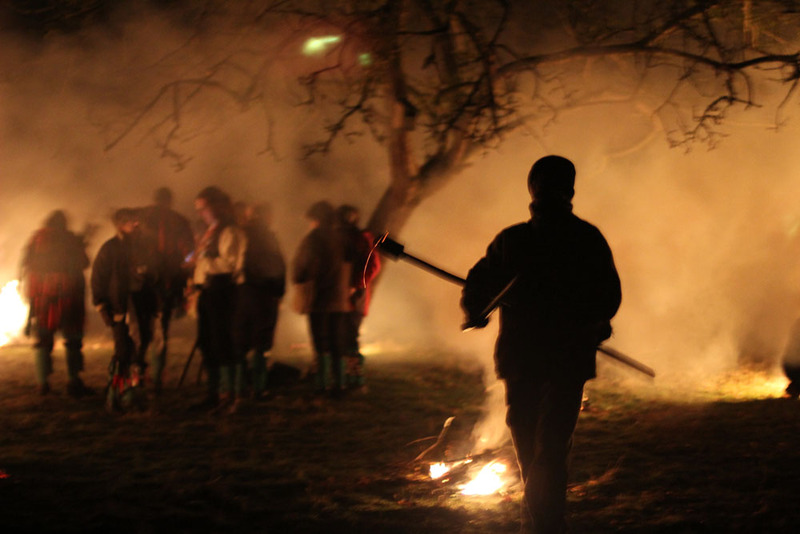 “Wassailing is the chief custom associated with cider apple trees. 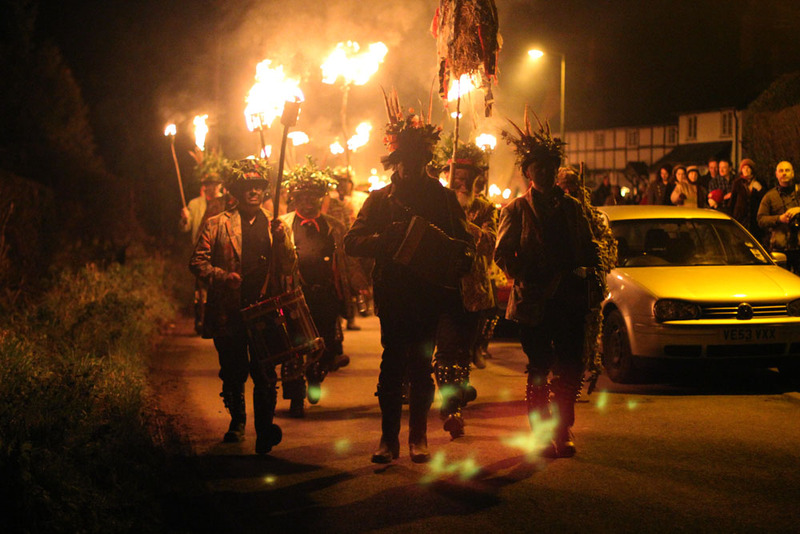 The word wassail is derived from the Anglo Saxon ‘wes hal’ meaning ‘good health’ or ‘be whole’. 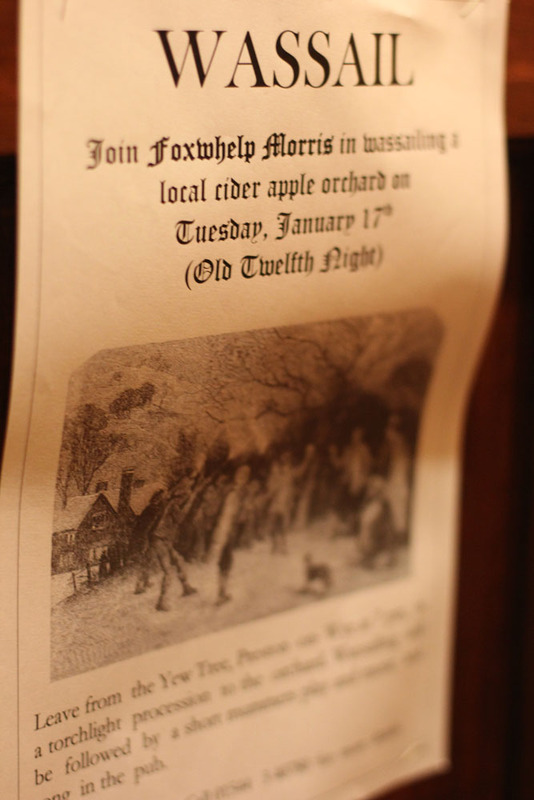 The earliest written records of wassailing date from the late 17th century. This custom is performed to protect the trees from evil spirits and to make them bear a plentiful crop and is still carried out in the West of England. 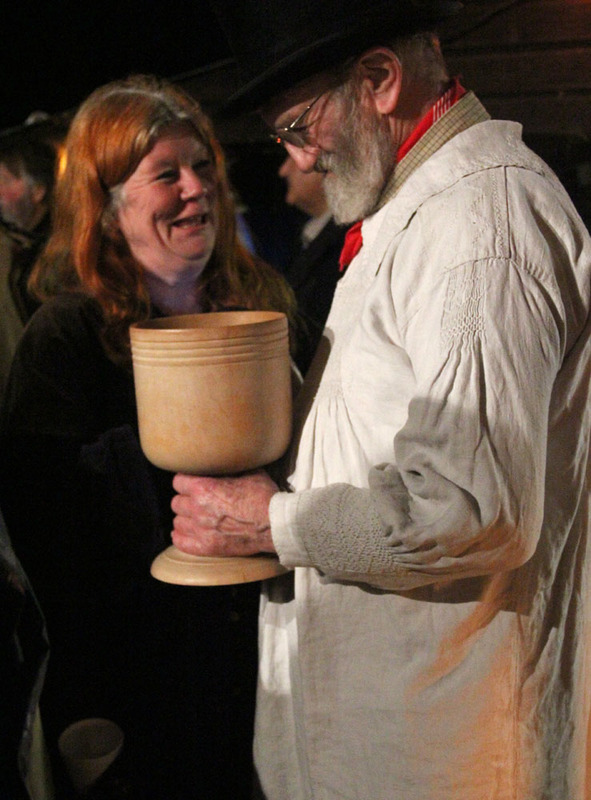 The rite involves five main elements: gathering around an apple tree, singing the Wassailing song, pouring cider over the tree’s roots, loud noises and a toast. The pouring of cider over the roots symbolised the carrying forward of the life juice of the tree from one year to the next. It was also the custom to place a cider-soaked piece of toasted bread in the fork of the tree to attract good spirits while guns were fired into the trees so as to frighten away the evil spirits. The health of the tree would then be drunk as often as was felt necessary. 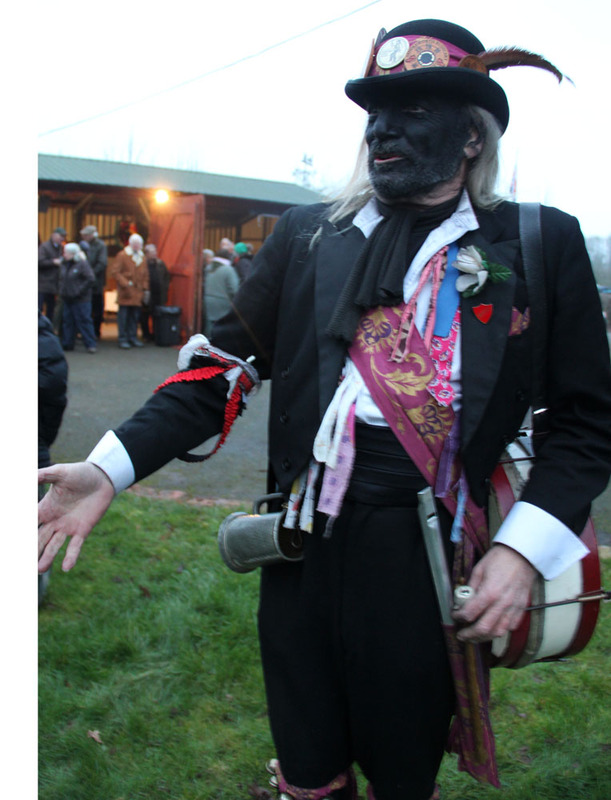 Nowadays, it is traditional to hold the rite on Twelfth Night. Source: National Association of Cider Makers.